Hello! 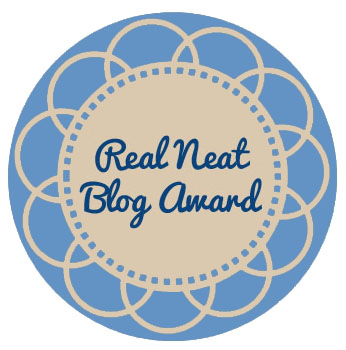 It sure has been a long time since I’ve done an award post, and today I’m back with the Real Neat Blog Award. I was nominated by Muhammad, Assia, Suganiya, Trisha, Wesaun, Joey, and Raven. I feel really honored to have receive these nominations from such amazing bloggers. It really means a lot! Thank you guys again! And as you guys could probably tell, this post will be on the longer side of the spectrum since this is one of those “make up your own questions and pass it on” type of posts, so I’m so sorry about that. I was first nominated back in early May but I just never got around to doing it (I usually do my tags/awards posts in chronological order of when I was first tag; yup, silly OCD-like me is like that). With that being said, let’s not make this post any longer than it has to be and just dive into it! What country or city would you travel to tomorrow? Tomorrow? What a short notice, haha. Usually, I’d choose Ireland because that’s my dream and ideal destination that I’d love to travel to someday, but lately it’s been pretty chilly and rainy down here in the Southern U.S. In fact, I believe we’re having a hurricane? There’s been floods in some cities in my state. I still don’t believe it. Anyway, for that reason I’d love to visit Hawaii because of the sunny weather and it’s still in the states so maybe airfare would be a little cheaper compared to going overseas. That’s a really, really hard question. From this year (to narrow it down), I’d say The Glass Castle. It was one of the first books I read in the beginning of 2015, and I really enjoyed it. Name three items you would bring on a desert island. My laptop, the charger for my lap top, and portable electricity (does that even exist and count??). I seriously cannot live without the security of having my laptop with me. But, oh crap, I forgot I need internet to do most things. Have you ever solo traveled? If so, tell us about your experience. I’m only nineteen, so I haven’t had a lot of time to try this out yet, but I’d love to one day! Perhaps I can share my experience then through a blog post or something. Have you ever made friends / hooked-up with a stranger while travelling? Oh gosh, haha. Well I definitely haven’t hooked up with a complete stranger, but I have made a couple of friends when I went to different events and competitions, outside of my town and state. Well it has to be nonalcoholic since I’m underage. But I guess it’d be water on most days. Though, I have a spot for either the Peppermint Bark or Caramel Frappuccino from Joe Muggs occasionally. I speak two: English and Vietnamese. And I studied Latin in high school and college, but we don’t really speak that, haha. Do you like to read books? Why? Yes! This is going to sound cliché, but because it gives a reader the ability to escape and experience things he/she hasn’t ever before. Also, it’s a pretty healthy hobby in my opinion. It’s always good to learn something new, and I find books always offer new knowledge. Tell me the character which would resemble the true you? I want to say Auden from Along For the Ride. I’m very indecisive, thoughtful (in terms that I think a lot when I’m alone), and introverted. The name of your first crush and have you ever told him/her that? Haha, why is there a lot of romance related questions this time around with this award? XD The name of my first serious crush was a guy named Tom. I liked him for a really long time, from early middle school until middle of high school. And we actually sort of became friends and were running buddies, but I ended up losing interest in him as I got to know him, which sounds bad but yup, that’s just what happened. And I never confessed my “like” towards him because, like I said, when I finally mustered up the courage to talk to him and became friends it never came up since I started to like him in that way less. If you could be one character out of a book, what would that be? Instead of being a particular character, I’d like to be myself but as a shadowhunter. I’d love to be able to visit Idris and be all badbutt and all the things shadowhunters are. The little things that put a smile on your face everyday? For one, just having a blog makes me smile. I kid you not, when I say I’ve created over 5 blogs in the past and never really stayed committed to any of them. Now that I’m in the groove with staying active in the community and publishing posts… there’s a great sense of satisfaction. The weather is another thing that makes me very happy. Rainy weather and the cold chills don’t really bother me. I embrace pretty much all types of things mother nature throws at us. The happiest thing that has ever happened to you? I can’t pinpoint this really, but meeting my dad for the first time when I was a kid (I had bad family problems growing up; my parents are separated for lack of a better explanation) was definitely a pivotal moment for me. Standing on a national stage for a health science competition with my fellow Working on Wellness team was also an amazing moment I’ll remember. Experiencing prom, graduation, and my senior year of high school in general with the people I grew up with was also a period of time I was very happy. Receiving a phone call from my teacher allowing me to make up an exam I missed (that was last semester) was also such a relief. I have a lot of happy and thankful moments actually, and hopefully more to come! This is actually a pretty easy question for me. The only true dystopian novels I’ve read are the Uglies series, Brave New World, Cinder, and The Hunger Games trilogy, so you can’t say I haven’t had much exposure to the genre compared to other readers. And reality-based as in contemporaries? Even though it may seem like it, I actually haven’t read too many of those either aside from my favorite authors like Sarah Dessen. So I’d pick paranormal, my most comfortable genre, to answer the question. I love all books about vampires, werewolves, faeries, or even a mix of paranormal creatures! Say like books from the shadowhunter world. Fun fact: I have never read any books tailored for the new adult audience. So by default, it’ll be young adult! A story that makes you laugh or cry (both in a good sort of way)? Most definitely, The Clockwork Princess (but you probably know that by now, Trisha, haha)! Just thinking about Jem suffering from his incurable condition makes me want to cry every time. And that ending, omg. Handsome/pretty book protagonists or not so much? When I was younger I visualized my characters more, but I guess I don’t really do that. Maybe my imagination is waning? Lol. So either is fine, honestly. But aren’t most characters usually dapper and beautiful? Or so mundane they think their love interest will never notice them? Those seem to be the golden character portrayals lately. However, it’s refreshing to read about the less ruggedly handsome or less than mundane girls (that don’t continuously complain about their “lack of beauty” that is). I think a lot of young adult books are set in high school. I haven’t read any books that feature the college life or at least none that I can recall at the moment. I’d probably pick the latter since I’m experiencing that life currently. I’m a Wessa shipper for the books. But if I could ship myself with one of them…. JEMJEMJEMJEMJEMJEMJEMJEMJEMJEMJEM all the way! You are sly, Trisha. Super vague. 😛 I guess I’ll interpret this as “Is there any book in which you’ve stayed up at odd hours of the night or have procrastinated (hence did not move on with life) because of?” Why yes, there are so many. Pretty much all of the books in The Mortal Instruments (at least after City of Ashes, I started this series in 2009 and was able to experience City of Glass‘s release) and The Infernal Devices series. Are you kidding me, Joey? This is easy? I’m really curious to see how your portion of questions are going to progress now… Hmm, instead of this being a representation of the world, I think Half the Sky shows a glimpse of a portion of our world. But I’ve also heard Infinite Jest is a great representation of America, full of humor and brilliance (which I’m not surprised since I’m a fan of David Foster Wallace), so maybe that would be a better representation. I guess I won’t know until I pick that thousand page book up. You have to swap blogs with a blogger (inclusive is booklr/booktube/bookstagram) and need to operate it on the same schedule (or not) like the original content creator for a month. Who would you choose? Why? If you were food (your choice, solid or liquid), what would you be and which author would you want to be devoured by? Why? Imagine you could travel 100 years into the future with a book and could place it wherever you wanted to be found at that time. But know that whichever book you choose, it will not exist anymore in this current generation (e.g. not published or the ideas never surface). Which book do you choose and why? I’m only partway through with A Little Life, but I can already tell it’s definitely a book worth reading by the later generations albeit how depressing and heartache inducing it is. The feels from this book is tremendously intense, and it’s so, so wonderfully written. So that one, I’d say. Let’s say blogging families are a thing. Which bloggers are your grandparents (e.g. that you look up to for wisdom), your parents (e.g. are pillars of blogging support), and your siblings (e.g. that share similar or different styles but still could relate to you)? This is just hypothetical, everyone. And if I call you my blogger granny, don’t take that in the wrong way and think I’m suggesting you’re old or anything… just wise with blogging experience! My blogging single momma would be Savindi at The Streetlight Reader. I don’t know my blogging father, since I don’t follow enough male bloggers. Maybe Thomas at The Quiet Voice because I love his blog. My blogging grandparents? Umm, I don’t know that many senior bloggers for that status. And blogging siblings? This is way too easy (and difficult because I technically have an endless count of them): Aentee at Read at Midnight, Analee at Book Snacks, Ashley at Dreamingthroughliterature, Carolyn at A Hundred Thousand Stories, Chooi at Read, Think, Ponder, Erika at Erika in Bookventureland, Jenna at Reading with Jenna, Joey at Thoughts and Afterthoughts, Kelly at Dancing Through the Pages, Lauren at SERIESous Book Reviews, Marie at Drizzle and Hurricane Books, Poulami at Daydreaming Books, Raven at Dreamy Addictions, Thuong at I Read Therefore I Am, Trisha at The Bookgasm, and Wesaun at Oreos & Books. …I realized that I don’t have any brothers other than Joey. This is quite sad. Write a haiku with book titles/author names. WHAT? This is insanely challenging! and learned how to love. Imagine you have several rows of shelving filled with a multitude of books; from those you own to those on your TBR—all of which you have logged on Goodreads. Behind the shelf is a panic room. To get into the panic room, you have to pull out a book (can you imagine the action?). There is an intruder in your house—a murderer?—well, you don’t want to find out. The thing is, this individual has access to your Goodreads account and can see every single title you’ve listed. You’ve already called the cops and they’re set to arrive within minutes so said individual won’t have time to pull every single book out of the shelves to gain access. Which book do you choose to be your access code? Justify your selection. Gosh, I hope no one should ever have to experience such a scenario… but I’d pick A Whole New World if I was to devise a precautionary method for that situation. If this imaginary intruder had access to my Goodreads account, he’d probably wouldn’t suspect any of my least favorite books to be the book I’d want to pull out often. But then again, his logic could be “this girl must have chosen one of the 1 Star books to throw me off” if so, I guess I’d be screwed (since I have so few low rated books). Tell me about someone you really admire? I really admire my dad, since he took care of me as a single father and business owner. I know it must have been hard on him. Also, he’s my best friend and will forever be my life mentor. LOL. This changed ridiculously frequently when I was a kid but that’s pretty common for children, I think. I wanted to be an artist (specifically a painter), a lawyer, a doctor, a writer, a marine biologist, etc. It wasn’t until fourth grade when I was around ten years old did I decide the pharmacy track and since then I’ve been on it (in a sense). Realistically speaking, I’d be a pharmacist because that is my ultimate goal. It’d be lovely to skip all this schooling, haha. Actually, just kidding, I wouldn’t have the knowledge that I’d need to function at work, and that could lead to some life-threatening disasters and I wouldn’t want that. What type of music you like most and name any three of your favorite new tracks? An old favorite of mine that was recently revived in my iTunes library. I love Paramore. I was so close to going to one of their concerts but it was during exam week last semester. Sigh. Sigh, Taeyeon’s voice is so beautiful. I love the concept of “I.” I think this album reflects a lot of the music she likes to listen to for leisure and it highlights her vocal abilities perfectly. It’s also really refreshing and I love it’s not the normal K-pop pop. Book that made you cry and a book that made you laugh out loud? The book that made me cry, like I answered to Trisha’s question above, was The Clockwork Princess. And a few that made me laugh out loud are from The Princess Diaries series. All of Meg Cabot’s books are usually laugh out loud hilarious though. And how ironic both have “princess” in the names, huh? My friends from high school that go to the same university with me surprised me with ice cream when I was alone in the library studying. It was definitely a cool surprise and so kind of them. We also spent the entire day doing non-baking baking (aka making treats without using an actual oven). Hardworkers in life in general, I guess. Admirable and determined people. Or people that encourage and influence me to grow and become a better individual. I had a really good time answering these questions. Thanks so much to all the bloggers that nominated me. You all are too kind! Now it’s time for me to pass along the award…. Please share a song that perfectly describes your life. Like a song that makes you go “story of my life.” If you aren’t recalling any good ones or do not want to give away too much about your personal life, you’re current favorite track will suffice as well. If you had one day to do something and know that all remnants of that something would disappear the next day when you woke up, what would you choose to do? (For example, owning a pet unicorn, getting a tattoo, having a baby or being married, visiting and seeing what heaven or the center the earth is like, etc.) Think of it as beta testing something or a scenario. If you could create your own language, what would it be called and describe what it’d be like. Like all award posts of mine, hover your mouse over the blog link for a message. Of course, some of these blogs on here are award free but I just wanted to recognize them. Feel free to ignore this nomination if you’ve already done this (and, if you don’t mind, link your post in the comments if I missed it, please)! Or feel free to accept the nomination silently without answering or posting a response to my questions; I won’t be offended. Also, if you haven’t already noticed, this time around I wanted to nominate other bloggers I’ve never nominated for an award before. These awesome bloggers really do deserve the recognition! However, my list of neat bloggers is actually infinite, and I suggest you all to take a look at my Award archives to see my other lists of wonderful and genuinely cool bloggers, in addition to this one, if you’re looking for new bloggers to follow and interact with. Believe it or not, this was actually a scheduled post I created a few weeks prior to this date. But anyhow, I hope some of you found my answers amusing. Let me know in the comments if we have any similarities or what questions that I answered intrigued you. I know, I’ve been tortoise slow with replying to comments… but I promise I really do read every single one of them and I plan to reply to each eventually. 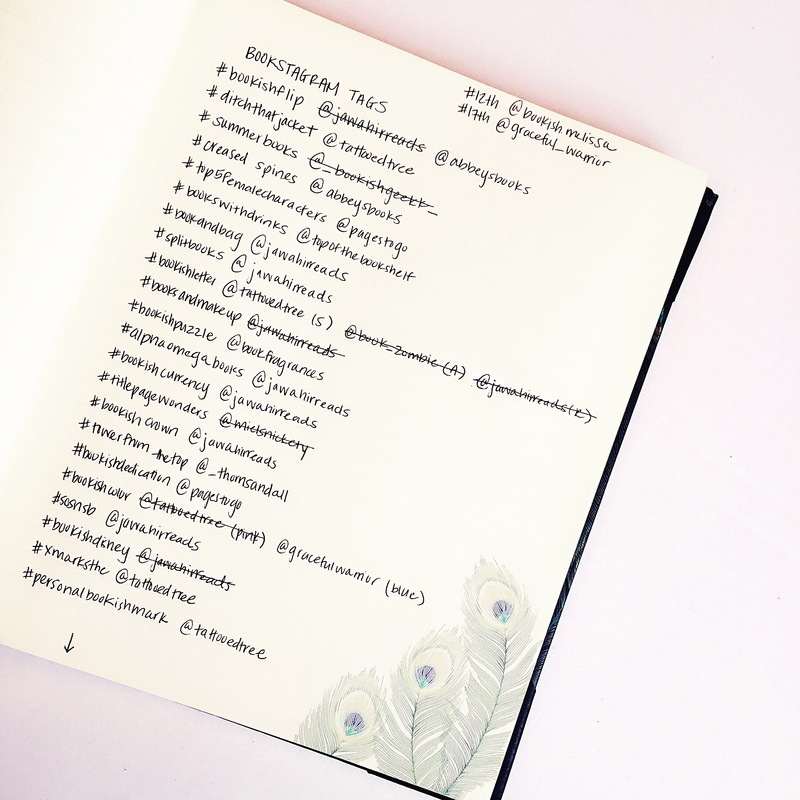 Behind on blog tags, behind on Instagram tags. Sigh. Nice, Summer! I like your long answers to all of the questions. I like Joey’s questions the best! They are not regular questions like most people ask! Wow, your friends are so kind to get you ice cream….what a lucky girl you are! What college do you go to? Just curious. It must be, SC university is humongous! Hope you are having fun! You’re so welcome, Sohini! And thank you, that all really means a lot! 😀 And thanks, creating a haiku wasn’t all that bad as I thought it’d be (thank goodness for Goodreads)! I didn’t know your dad single-handedly raised you and for that, he’s awesome! There’s something extra adorable about dads who raise their daughters alone considering they had to learn to cope with feminine stuff of their girls. Ahh yes that awful puberty stage! Most teens do tend to separate from their folks, right? But people like you who don’t are awesome! I never really thought about it! But I guess you’re right. I suppose during puberty all the teenagers get hormonal and that often reflects as rebellion to most parents, which is understandable. Good point, haha! Omgsh when I first watched Shigatsu wa Kimi no Uso, I cried from just the soundtrack alone. The opening theme was so beautiful too! Now I can never close this page because I want the OST to keep playing forever and ever… 😀 (and this comment will probably never be posted because as soon as I do, the page will refresh). And I’M SO GLAD YOU LIKE A LITTLE LIFE ❤ I would probably sacrifice that book too because future generations need to experience it’s beauty. It’s for the greater good. But I’ll miss the feeling of the dust jacket and the smoothness of the pages… and the way the weight of the book almost breaks my arm. I haven’t finished it either because I was originally following the anime each week… but it got too painful so I decided to just wait and marathon it at the end… never ended up finishing it. BUT I WILL. Because it’s beautiful but I know my heart will die. Kamisama Hajimemashita season 2 is so good! I was following it when it was airing. Gosh, the TomoexNanami feels are too much. And I haven’t seen a K-drama in a while! The last one was The Scholar That Walks at Night, I think. I only saw a couple of episodes of that though. I ended up reading episode recaps for the rest of the show… I just didn’t have the time to watch hour episodes so I thought reading what happened would be faster, haha. You’re welcome. ❤ Thanks, have a lovely weekend, Raven! I just looked She was Pretty up on AsianWiki and it sounds cute and funny; I’m sure it’ll be something I’ll like. Thanks for the recommendation, Raven! I may try to watch it winter break! Your questions weren’t stupid at all though; I had a lot of fun! 🙂 Haha, yes, oh Tom. 😛 Thank you! Happy blogging, Suganiya!